What is Alternative Energy Healing for Physical Health Improvement and Well-being? In general concept, Energy healing is a holistic approach which provides a natural way of restoring balance and harmony to the subtle energetic communication system. As part of the subtle body, these energy systems encompass auras, chakras and meridians. Energy Healing corrects the energy imbalances underlying simple and complex disorders. It works by removing ‘used up’ or diseased’ energy and replacing it with fresh vital energy called Prana. This kind of alternative and natural energy healing treatment works for nerve and chronic pain, among a range of other disorders. Energetic healing sessions are tailored to the individual and may include a variety of modalities and techniques. Master Jie’s energy healing is powerful and unique. Various techniques could be applied by Master Jie, based on your personal condition and circumstance at each session of healing. 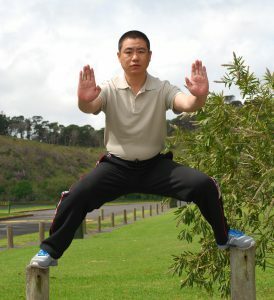 Using his healing ability, Master Jie has helped a lot of people improve their physical and mental conditions. He has achieved a number of miracles. With his gifted strong energy, Master Jie can help you clean up the blocked energy among the meridians and chakras where have impacted your health. He is also able to help release negative energy out of your body. This may result to stimulate the Chi flowing all over the body and increase the blood circulation. Master Jie’s energy healing sessions could benefit most of personal conditions, even some situations that traditional treatments may not be able to resolve out. His holistic energy healing is purely natural, no any devices and medicine are required. Depending on each individual’s condition, his energy healing services may be able to have the following but not limited outcomes. It includes chronic health issues, heart problems, respiratory system, digestion problems, back pain …. Even some complicated health conditions, such as Parkinson’s disease. Master Jie’s energy healing is also very beneficial for improving sports related injuries and conditions. Master Jie welcomes any inquires about personal condition issues. After conducting a personal assessments, a tailored personal health improvement program will be presented. Being healthy, both physically and mentally is important to enjoy your life and make the most out of it. Wellbeing and mindset affects the performance of a person, while physical fitness enhances the work-productivity. But in the present scenario, stress level among people is increasing day by day, we are overburdened with work and are surrounded with negativity. It is ultimately leading to stress, anxiety and depression coupled with some other slowly growing. Master JIe’s energy healing can also open up your undeveloped potential. Increase self-confidence. Improve concentration and productivity. By helping you improve the consciousness, your mindset is got clarified. You will be embraced by positive energy.